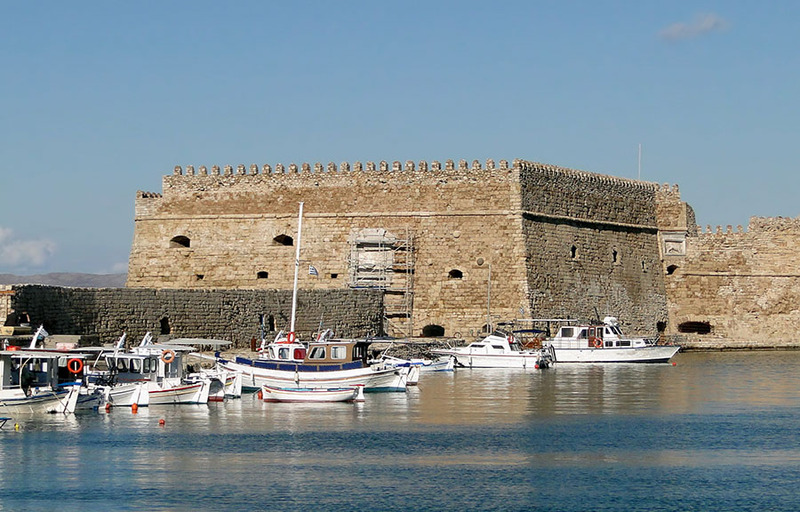 Heraklion is one of the largest cities in Greece. Heraklion is the capital of Heraklion regional unit. The ruins of Knossos, which were excavated are located within close proximity of Heraklion. Heraklion is close to the ruins of the palace of Knossos, which in Minoan times was the largest centre of population on Crete. Though there is no archaeological evidence of it, Knossos may well have had a port at the site of Heraklion as long ago as 2000 BC. A low mountain range rises in the middle of the prefecture and descends into the Mesara Plain. These fertile plains have been cultivated for thousands of years and have important Minoan, Greek, and Roman archaeological sites -- Festos, Agia Triada, and Gortyna are the major ones. 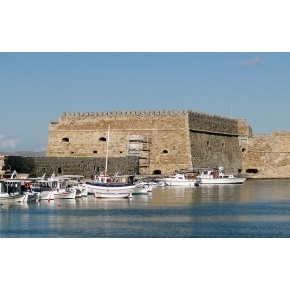 The prefecture of Heraklion has many cultural and historical features to offer the visitor. The finest collection of Minoan artifacts in the world and the sites of one of history's greatest civilizations may be of interest as well as the numerous Byzantine churches and Venetian castles and fountains. The historical aspects combined with the scenic landscapes of mountains, valleys, and sea to make this a beautiful and fascinating area. The homonymous capital is the largest town in Crete, the main port and the economical center of the island. Apart from being a busy commercial center, one can feel here maybe more than anywhere else on the island the glorious touch of the past: from Minoan Knossos and Labyrinth, to the impressive Town Walls and Koule Fortress (dated back to the Venetian period) that surround mainly the old quarters of the city! These walls seem like a crown that keeps the city tied to the past. Its museum is regarded as the best in Greece and one of the best in the world. Among the semi modern buildings there are one or two nice Venetian remnants located in the heart of the town – the famous Morosini Fountains and a pretty restored Loggia.